Last month, just before the Easter break, I along with some other SIG champions of the Future Devices & Technologies group at CW (Cambridge Wireless) organised an event titled 'Smart Devices of 2025'. 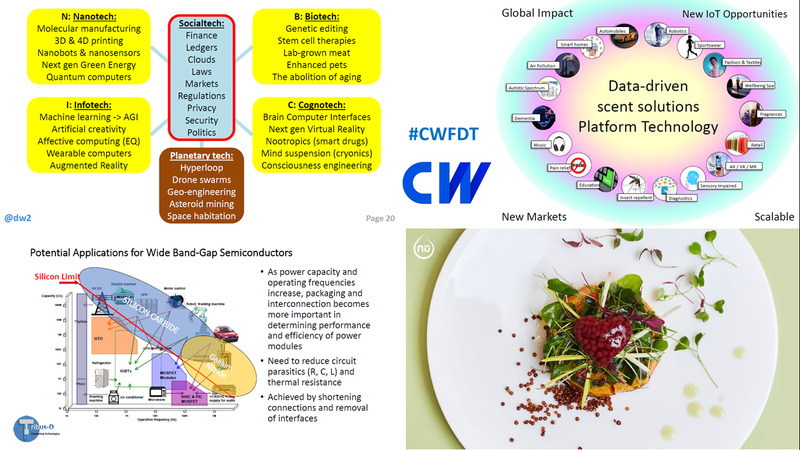 Technologies are moving at such an amazing speed that it is not easy to foresee anything beyond 6-8 years. Hence 2025, 7 years from now. As this was the inaugural event for the revamped SIG, the slides above are my quick introduction to the SIG. We not only talked about the future but we had some nice futuristic devices too. The nuFood 3D Food Printer by Dovetailed printed out some fancy toppings that could go on cheesecake and on other food, making it more appetising. Here is the video on how it works. The starting talk by David Wood (@dw2), chair of London Futurists was not only informative and relevant to the subject being discussed but equally entertaining, especially for those who have been in the mobile industry for a long time. He has kindly agreed for me to share his slides which are embedded below. David talks about NBIC (slide 18) and how it could be combined with Social-tech and Planetary-tech in future to do a lot more than what we can do with it today. While David explains NBIC in his slides, I found this short video on this topic that I think is worth embedding. It was also good to hear Dr Jenny Tillotson again after a long time. I blogged about smell transmission some 6 years back here. This is something that is still work in progress and probably will be ready by 2025. In the meantime 'Context-Driven Fragrances' can be used for variety of purposes from entertainment to health. Finally, here is another small presentation (with embedded video) on Telepresence Robots that I did. This gives hope to the third world where a lot of our old non-smartphones are ending up. In fact this reminds me of Mexapixel Microscopy that can possibly have numerous applications. Do you have any more ideas or information on this topic? Please feel free to share in the comments. I am going to be involved in two events in the coming months to discuss about Evolution of Devices in the future. The first of them is the LTE World Summit that I have been going to for years and have recommended to lots of clients, colleagues and friends. In there I will be discussing about 'The Future Device' in the Breakfast briefing. In June I am chairing a session on 'Where Next For Devices' in The Future of Wireless International Conference. As a result I would be discussing some ideas on the blog with the intention of getting some valuable feedback and comments. Smell has been associated with the mobile devices for a long time. There are two concepts floating around. The first is a phone that can smell the environment for certain odour or harmful gases and depending on what it smells, alerts the user or some authority. An example of this are the phones being developed by US Department of Homeland Security to smell poisonous gases. Another example is the e-nose concept developed by Imec, Belgium. There are other concepts being developed around m-health to help people with Asthma. The second of these concepts are the devices that can emit smell. The simplest form of this would be like the Sony phones that emit fragrance for a few months and then a new sheet can be inserted for them to keep emitting a fragrance. A while back it was reported that Samsung has filed a patent for something similar. 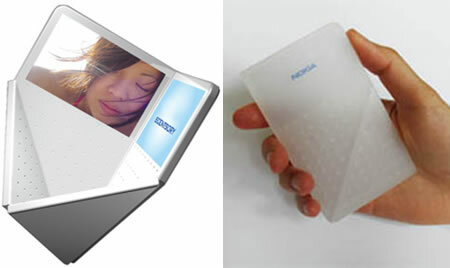 Nokia had shown years back the 'Scentsory Concept' mobile that can transmit smell based on the environment to the other party who can get the feeling of where the other person is. Since then they have shown other concepts but I dont recall seeing much on smell. The 'HumanForm' concept I blogged about last year showed that we would be able to feel the environment but it was surprisingly quiet about smell part. I would be very interested in hearing more on this topic from the readers. The following is from a recent Mobile Internet SIG in the SV Forum. You may want to get the presentations before listening to the video. Presentations available here. 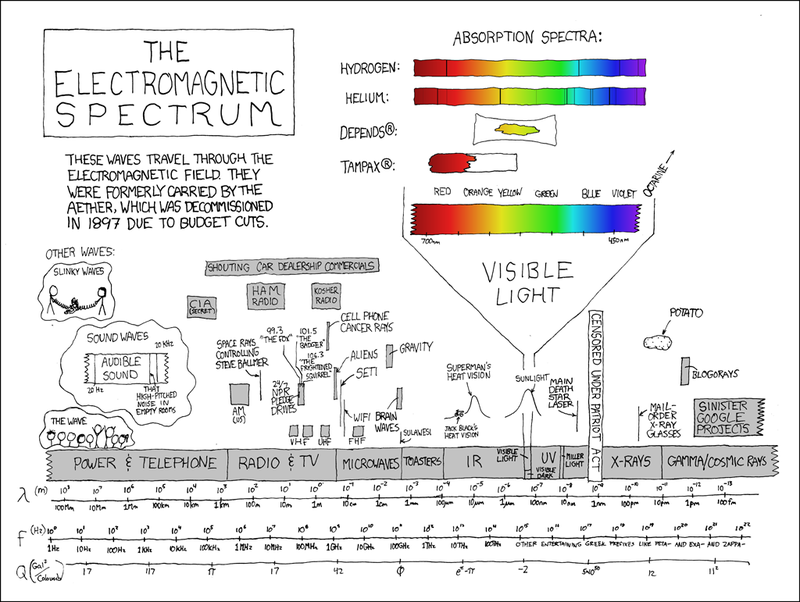 There is an interesting graph in Scientific American (Via Bill Gross on Google+) showing the radiation spectrum of Cell phones and other devices. Click on the image to view full size. 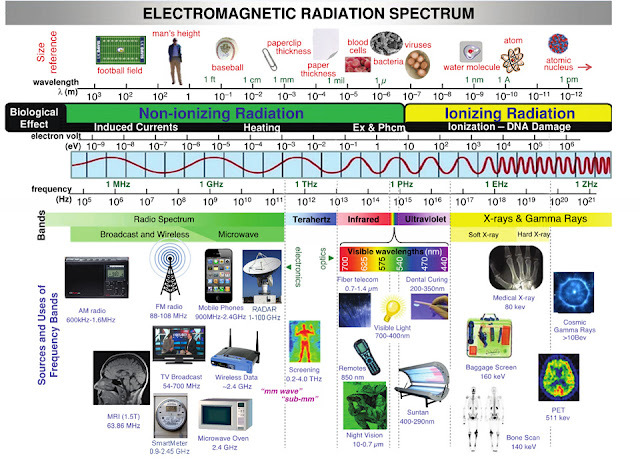 Thing to note: As the graphic above shows, the radiation emitted in this region is nonionizing: it may heat molecules in the body but does not ionize them (that is, set electrons free). Ionizing radiation, which can tear molecules apart and therefore potentially damage DNA—is the greater worry. 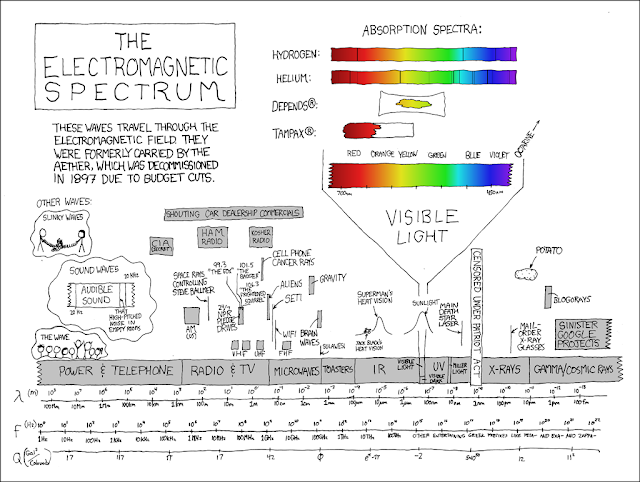 In the comments of the discussion, someone pointed out this hand drawn Electromagnetic Spectrum which is very handy. Finally, it is worthwhile checking out the total radiation that we can encounter in different events and their relative values. Ringtones to help you in your daily life.. I am sure you must have heard of Music being used to torture terrorists or hardened crminals. Now you can have complete different use of music or ringtones in this case. She flicks through a menu of alternative tunes and settles on one that offers to improve her skin tone through the power of alpha-waves. Ms Sendo and her friend Ayaka Wakabayashi are among an army of young Japanese drawn to the allure of “therapeutic ringtones” — a genre of melodies that promises to ease a range of day-to-day gripes, from chronic insomnia to a rotten hangover. Japan is no stranger to bizarre phone fads but the popularity of the ringtones is perhaps surprising given the flimsiness of the science behind them. Much of the tones’ credibility rests in the solid reputation of Matsumi Suzuki, the head of the Japan Ringing Tone Laboratory, an eight-year-old subsidiary of the Japan Acoustic Laboratory. Mr Suzuki’s adventures in the realm of mood-altering ringtones follow a career at the National Research Institute of Police Science, where he made award-winning advances in the field of voiceprints. One of his proudest achievements was the development of a synthetic mosquito noise that is inaudible to Japan’s over-60s but supposedly discourages teenagers from “congregating in parks at midnight”. A spokesman for Index, the giant Japanese mobile phone content provider that sells Mr Suzuki’s ringtones, explains that while there is a shortage of actual experimentation, “the number of downloads suggests the ringtones must be working to a certain extent”. Index’s other innovations include an iPhone application that translates your dog’s bark; the “Bowlingual” automatic canine interpreter draws on an database of woofs from dozens of species. The first therapeutic tone, a high-energy rhythm, tested for The Times by Ms Sendo and Ms Wakabayashi, was supposed to provide a sudden burst of impetus to sluggardly housewives. Yukari and Ayaka had their doubts. Ms Sendo and Ms Wakabayashi were marginally more impressed by the sleep-inducing and sleep-preventing tones, suspiciously akin to a lullaby and a dance track. The one with most practical use, they concluded, was the tone that scares away crows — the sinister jungle ravens that terrorise the dawn streets of Tokyo by pecking at bags of rubbish. Mr Suzuki’s latest ringtone has been timed to coincide with the Japanese hay fever season. The Ohana Sukkiri Melody emits a series of sounds at different frequencies “so that people can choose the sound that resonates most to their sinus and causes pollen lodged there to fall from the nasal cavity”. Index admitted that it had not conducted any research on how great a pollen deluge would be induced by the ringtone but said that it was “generally understood” that resonance would help hayfever sufferers if they brought the phone close to their noses. When it came to testing the hangover chaser ringtone, Yukari and Ayaka were relieved from experimental duties. This popular application works through what Index describes as a careful selection of “pulse-melodies” chosen for their astonishing atunement to the body’s “medical rhythms”. Testers concluded that a fried breakfast, though less portable, still had the edge. The other day someone pointed out that the number of SMS send per day globally is 2 Trillion. I said, surely this cant be true. 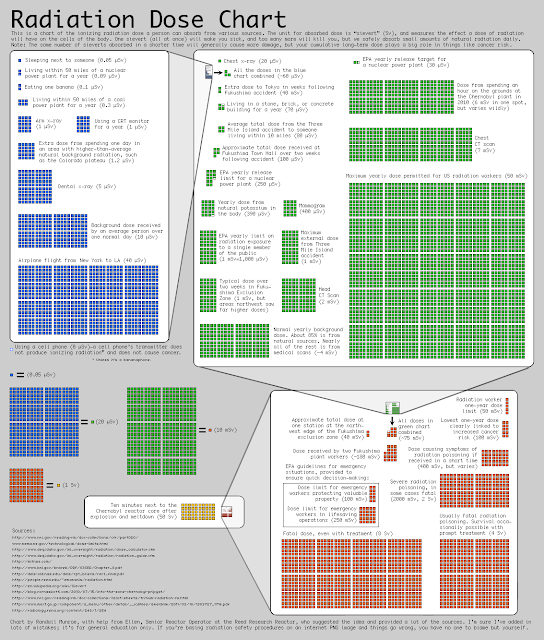 The population of the world is somewhere around 7 Billion mark. If we assume that everyone uses the phone and sends 1 message per day than that is still 7 Billion messages, 2 Trillion cant possibly be true. 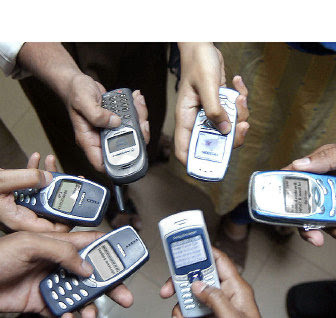 According to a post earlier, 1 Trillion messages were sent in 2008, compared to 363 Billion in 2007. Thats between 3 and 3.5 Billion per day. We may have to wait probably just couple of years before we see 1 Trillion messages per day (assuming the Networks can cope with this amount of SMS's). The reason for sharp rise in the number would be due to various factors. The first reason being Spam. China is already facing SMS Spam problems. Its becoming such a nuisance that the operators are considering limiting the number of SMS to a max. of 200 messages per hour and 1000 per day. On holidays, 500 and 2000 respectively. I am not sure if Spammers use phones, rather there are many websites allowing bulk messaging facilities. Many companies are also offering power texting facilities that allows big bundles for minimal pricing. The average price being 1 cent per SMS or even cheaper. Deciphering teen text messages is an art in itself. I blogged about it earlier but things change faster than you can anticipate. LG have launched a DTXTR service that can help you decipher your teen text messages. I tried few codes and it failed miserably. I suppose for these kinds of services, one more thing you need is to know the location of the users. Same code word can mean different thing in different countries/states. Webopedia has a very detailed list of these abbreviations. Finally, I have always wondered why emergency services dont allow SMS. If I am in a bank being robbed, its safer to send a text rather than call and speak to an operator. Good news is that, its already being tested in the US. This should complement the eCall feature in future. Regular mobile phone use does not appear to increase a person's risk of getting a type of cancer called melanoma of the eye, German researchers said on Tuesday. The study involving about 1,600 people detected no link between the time a person spent using a cell phone over about a decade and their chances of developing melanoma of the eye, they wrote in the Journal of the National Cancer Institute. The findings contradicted an earlier, smaller study by the same researchers that had raised concern about such a link. Melanoma is an aggressive form of cancer that can spread quickly. It arises in cells that produce the pigment called melanin that gives skin its color. The eyes also have cells that produce melanin. Melanoma of the eye is rare. 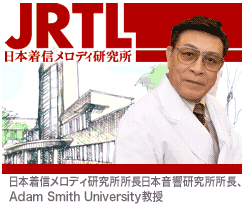 The condition also is called uveal melanoma. The issue of whether long-term use of cell phones can cause cancer, in particular brain tumors, has been a hot topic, but most studies examining the matter have found no such association. In the other news, Barack Obama has turned to a Midland anti-mobile phone mast campaigner to help the fight against cancer. Eileen O’Connor, as a founder member of the Radiation Research Trust, has led the battle against the relentless growth of mobile phone masts and technology for the past seven years. And now the US President’s cancer panel, set up by Obama to research the possible links with both nuclear and electro-magnetic radiation, has asked Eileen for her views on the issue. The trust has supported widespread research into the possible dangers of mobile and wireless radiation and campaigns for the technology to be made safer. Eileen said: “Obama’s panel has launched an information gathering exercise and I was invited to provide evidence. While I am not building up my hopes, I am delighted the issue is being taken seriously by the President. “President Obama recently said science is about ensuring that facts and evidence are never twisted or obscured by politics or ideology. The evidence gathered by the panel will be considered in drawing up advice to the new President on measures needed to be taken to improve the health of Americans. Any steps taken are likely to be considered around the world. Eileen first suspected a link between mobile phone masts and cancer when the arrival of a mast in her home village of Wishaw, near Sutton Coldfield coincided with a cluster of cancer cases, including her own. The campaign hit the headlines in 2003 when the mast was pulled down in the middle of the night and residents blockaded the site to stop it being replaced. The Radiation Research Trust funds and draws together scientific research from around the world and lobbies government to adopt a more cautious approach to mobile technology. A key theory is that it is the electromagnetic radiation frequency, and not intensity or power of the signal, which can cause the damage. It is also thought that some people are more sensitive to the effects than others. New laws cracking down on children's use of mobile phones are to be introduced in France amid growing fears that they may cause cancer and other diseases. All advertising of the devices to children under 12 is to be prohibited under the legislation – announced by the Environment Minister, Jean-Louis Borloo, last week – and he will also take powers to ban the sale of any phone designed to be used by those under six. The French government will also introduce new limits for radiation from the phones and make it compulsory for handsets to be sold with earphones, so that users can avoid irradiating their heads and brains. And one of the country's largest cities last month started an advertising campaign to discourage the use of the phones by children. The clampdown represents the most comprehensive action yet taken by any government worldwide. It contrasts sharply with the stance of British ministers, who have largely ignored the recommendations of an official report nine years ago that people aged under 16 should be discouraged from using mobiles, and that the industry should be stopped from promoting them to children. Since then their use by the young has almost doubled, so that nine out of 10 of the country's 16-year-olds own a handset. Swedish research indicates that children and teenagers are five times more likely to get brain cancer if they use the phones, causing some experts to predict an "epidemic" of the disease among today's young people in later life. But consideration of the threat to them has been specifically excluded from Britain's official £3.1m investigation into the risk of cancer from mobiles. The French ministry warned that "mobile phone use is increasing at a rapid pace among youths", and warns that the young may be "more sensitive because their bodies are still developing". Children's heads are smaller and their skulls thinner. Lyon, France's second city, launched an advertising campaign before Christmas aimed at dissuading people from buying mobiles for children as presents, with the slogan "Let's keep them healthy, away from mobile phones!" 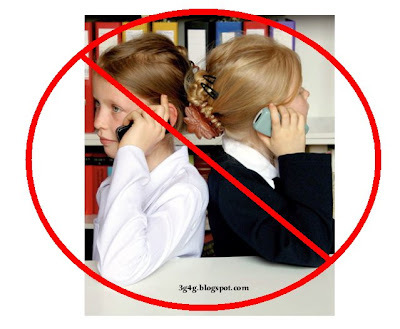 A year ago France's official Agency for Environmental and Occupational Health Safety said that parents should not give small children mobiles. And France's Health Ministry urged using them in moderation. The French legislation is the latest evidence of growing official alarm at the hazards of the radiation caused by mobile phone use. In September, the European Parliament voted 522 to 16 to urge ministers across Europe to bring in stricter radiation limits, and the European Environment Agency has also issued a warning. Toronto's Department of Public Health has advised that children under eight should only use mobiles in emergencies and teenagers should limit calls to less than 10 minutes. The Russian Ministry of Health says that young people under 18 should not use the devices, and Israel's Health Ministry has also advised caution.